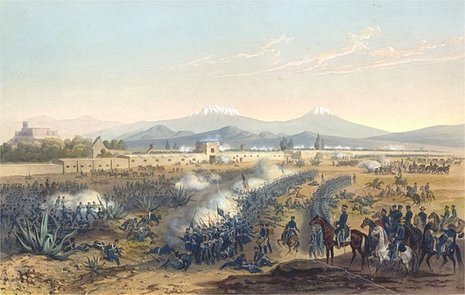 The Battle of Molino del Rey was one of the bloodiest engagements of the Mexican-American War. 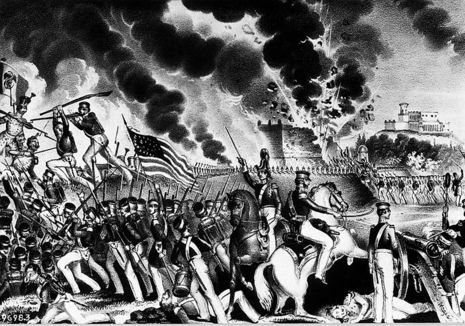 On September 6, 1847, as the armistice and negotiations that followed the Battle of Churubusco were breaking down, a large number of Mexican troops were observed around a group of low, massive stone buildings known as Molino del Rey (King's Mill). Spread across the distance of this point, they were about 1,000 yards (1 km) west of the Castle at Chapultepec, which itself was about two miles (3 km) from the gates of Mexico City. A large grove of trees separated the Mill from the castle, while the castle's batteries covered the area. Americans lose nearly 800 men in an attempt to take a suspected cannon foundry: "They fell in platoons and companies."